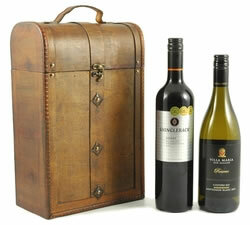 A wide range of corporate hampers and corporate gifts ideal for rewarding staff or clients. 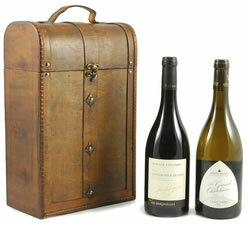 Luxury hampers from £25 to £400, filled with award winning food & drink. Get in touch for corporate discounts. 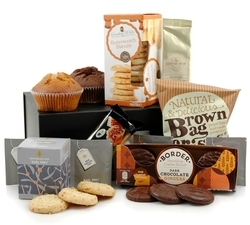 Corporate Hampers make ideal gifts for employees or your clients/customers, particularly after completion of a sale or contract. 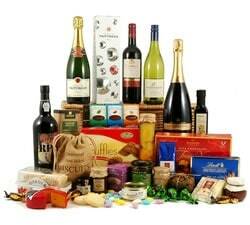 We offer a wide range of hampers & gifts, with a selection available to view below. 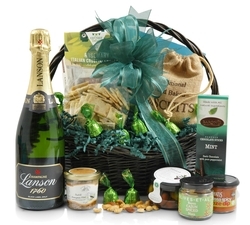 We can also offer bespoke hampers that are tailored to suit your business requirements.Our range of award-winning food and drink gifts, beautiful gift wrapping and high quality packaging help to make your business stand out. 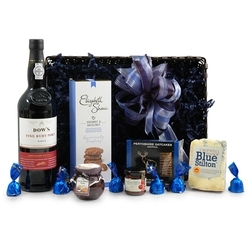 View our range of Christmas Hampers for 2018 - perfect for corporate clients or staff. When things are going well it's a great idea to reward your staff for their hard work and efforts. 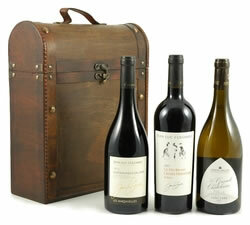 What better way to do this than with a selection of edible treats or a wine gift? Perhaps you've just finished a project with a client and you'd like to thank them for an enjoyable project, whilst importantly providing a memorable experience and securing their future business. 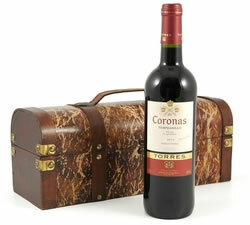 Thank them with one of our luxury corporate hampers and create a lasting business relationship. 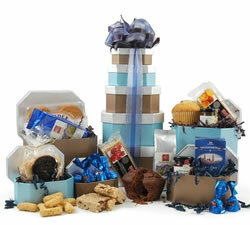 A corporate gift in its simplest form is a way of saying thank you. We all know about the power of these two small words and they can go a long way towards building trust, happiness and growth for the future. 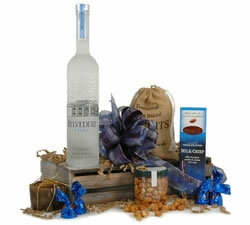 Finally, and perhaps most importantly we come to delivery of your corporate gifts. At Hampergifts we only use reputable, tracked and signed-for services to deliver throughout the UK. We answer any questions quickly and clearly, meaning that you can count on us to deliver what you need, when you need it. This can be in bulk or to individual recipients and to work or home addresses - whatever you need, we've got your corporate gift needs covered. Please find below some feedback from one of our customers, regarding one of the hampers received last week. 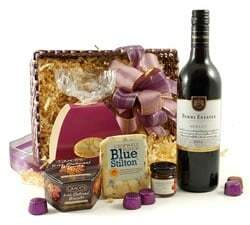 "I just wanted to thank you for the superb hamper which arrived last week. It was quite the most spectacular present the Careers Service has received in the 15 years since I've been working here and I, together with the rest of the team are thrilled to bits. "It is so nice to get a fantastic service level and product from a company these days as so many companies would not bother. It will certainly encourage future business from us at Npower. 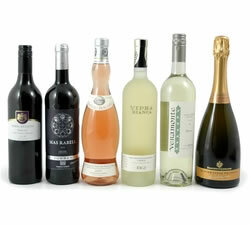 "I just wanted to say a very big thank you for all your help with my order. The Christmas gift process is usually something I dread every year but you and your company have made everything so easy this year. We are just sending the last few towers out from our warehouse and I have been getting feedback from some of our customers saying what lovely gifts they are. From initial query to collection, it was a trouble free experience which I will definitely repeat next year. I would like to wish you a Happy Christmas and all the very best of success for 2012." We received plenty of positive feedback from our affiliates and wouldn&apos;t hesitate to recommend hampergifts.co.uk for their great products and professional service." 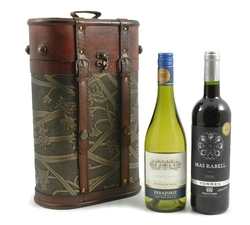 "Please find below some feedback from one of our customers, regarding one of the hampers received last week. It is so nice to get a fantastic service level and product from a	company these days as so many companies would not bother. It will	certainly encourage future business from us at Npower." "Just want to say a big thank you for the excellent service we have received from Hampergifts, our customers have been very impressed. I will certainly be using you again next year, so feel free to diary me a call at the beginning of December 2012. I will also keep you in mind for any personal purchases. A massive thank you for our amazing hampers that arrived promptly this morning as planned and are now being distributed to some very grateful clients! 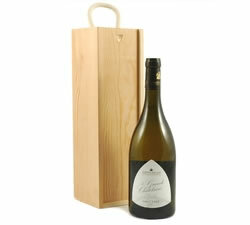 They are lovely quality, beautifully presented and packaged, and will be a pleasure to give. Thank you also for the extra gifts popped in for us - we were very excited to realise there would be something for us to share too! 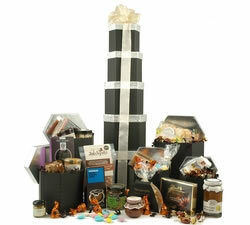 - the chocolate tower and the open hamper are very special. Just wanted to say thank you very much for organising the Hampers, they look fabulous and your service has been tremendous. I will be passing your details on to the other clubs (we have 10 casinos in the UK) with a personal recommendation. 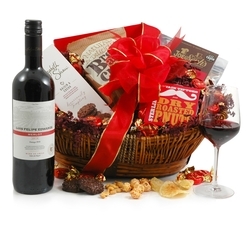 I am going to look at giving hampers as birthday presents for my VIP's next year so expect to hear from me before Christmas. "I received your lovely sample hamper in the post today, thank you ever	so much - it is lovely! I had already passed on your details to my	colleagues as your site and products were the most impressive I found when	looking for incentive gifts, hopefully they will request more orders from	you guys in the future!!! 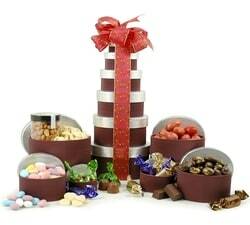 Feedback from stores that have already received their chocolate hampers has	been very good. I will drop a line to other collegues in my position to highly recommend you, hopefully put a bit more business your way !!! 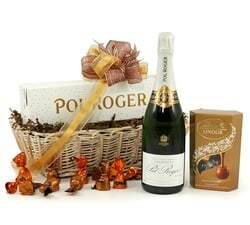 "Just to let you know that the hampers have all arrived safely and they look really lovely. Thanks so much and I look forward to working with you again in the future. 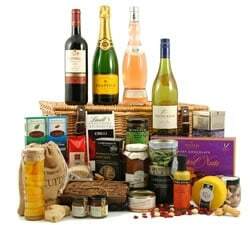 "The hampers look fantastic. 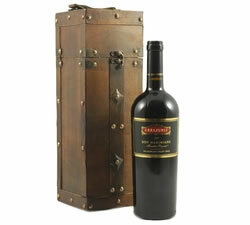 I now realise the excitement our clients must have when they receive a hamper. It has been an absolute pleasure dealing with you over the last year and we look forward to sending more business your way in the future. "Alex, just to say your hampers arrived today. They were awesome. Really impressed our clients. Thank you so much. 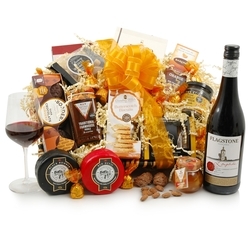 "Just a quick email to thank you for the lovely hampers. 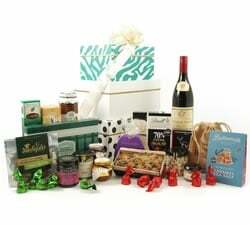 "Thank you for sending out all the hampers so promptly before Christmas. 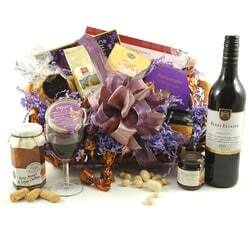 Everyone that we have spoken to has said that it was a great surprise and even better, the best hamper they had ever received !" I am so sorry that it has taken me nearly two months to come back to you to	thank you for all the lovely hampers. They were a real success with all of our residents. I will be looking to do	the same again for this year so will be in touch in August if not before. "I just wanted to let you know how delighted we are with the cookie and cake towers. I am extremely impressed with the efficient service you provided us. We'll definitely be using you again." 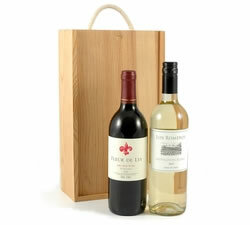 "I just wanted to say thanks for the delivery of our hampers today. They all look great and I will be handing them out to our staff this evening and I'm sure they are all going to be thrilled. 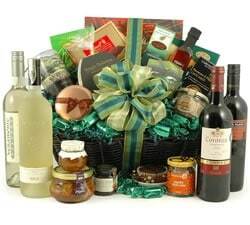 Hampers have begun arriving, we have had our here in Warrington and they are fantastic, many thanks." 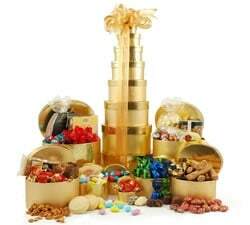 "Its that time of the year again and our Christmas order has gone in to you. I just want to say a huge thank you for the beautiful gifts we got last year. 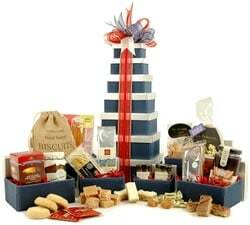 Our customers were really delighted and believe me your hampers and towers outshone the rest. 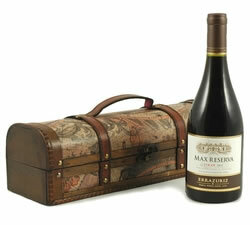 Not only are your products of the highest quality they are beautifully wrapped and presented. My order came spot on time and it was a pleasure to deal with such a professional company. 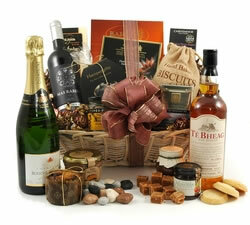 I have to say the picture on your web site does not do justice to the hampers they are wonderful." 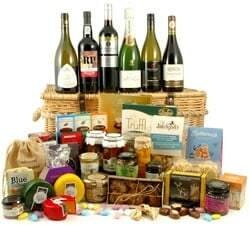 "...I am only too happy that the hampers have been received so well by all the guys.Please be	assure that should I be tasked with procuring Hampers or similar in corporate gifts, your company will be first on my list. 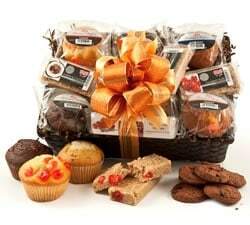 "Hampers went down a storm again! Thanks for your help." 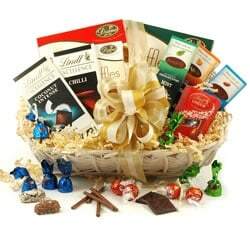 "Received the hampers yesterday handed out this morning - everyone very surprised! Happy New Year to you too, many thanks for all your assistance over Christmas. I have received nothing but complements over the Christmas towers and thought you would be pleased to hear that it was a very popular gift. "As a business which grows and relies on good customer service ourselves, we know outstanding service when we see it. I shall definately be recommending you to the 780 other Travel Counsellors for their own and their corporate gifts in the future. 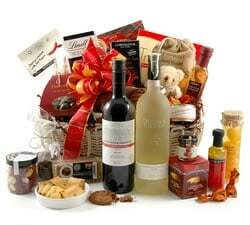 "I received our Christmas hampers today and I just wanted to say they are	fantastic. I am sure we will be hearing good things about them from the	recipients. We will definitely be a returning customer! 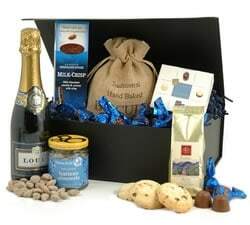 "Thank you for the excellent hampers, and of course, most importantly,	delivery when promised even with the short timescales we requested and	increase in order. 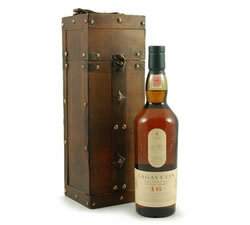 It is certainly refreshing for suppliers to deliver	as promised. The 25 hampers were very well received and certainly looked impressive,	as was the first hamper we ordered from you back in September. 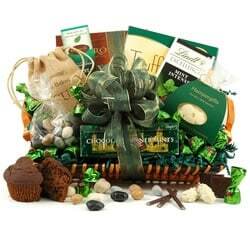 "Your website is awesome and must be the easiest to use and trust me I use the internet a lot for gifts etc. "Thanks so much for the hampers on Wednesday - we got our delivery and everyone was really pleased the quality and presentation of the hampers." "All goods received.......WOW!! They are absolutely fabulous ~ I am really, really delighted with the contents, not to mention the way in which they were so carefully packed...You can be assured that we will use your company again. The Mortgage Times Group, London.